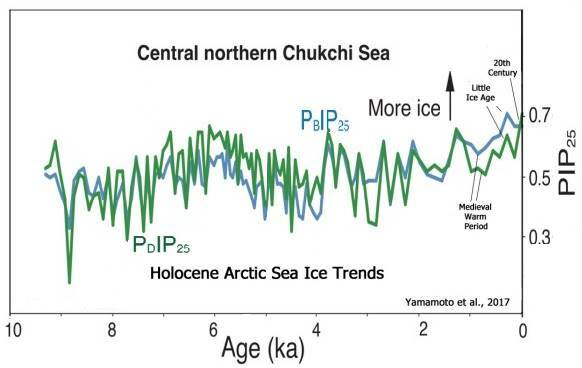 Here is visual proof that the ice is melting do to man-made global warming is a total scam. There is not supposed to be any ice according to global warming theory and yet, unless you are blind, the above image shows the North Pole full of ice. For this year, the DMI scientists calculated a total SMB of 517bn tonnes, which is almost 150bn tonnes above the average for 1981-2010, ranking just behind the 2016-17 season as sixth highest on record. In the latest troubling study regarding how the climate crisis is affecting the world’s iciest regions, a new report by the Scottish Association for Marine Science (SAMS) found that the second-largest ice sheet in the world is currently melting even in winter. 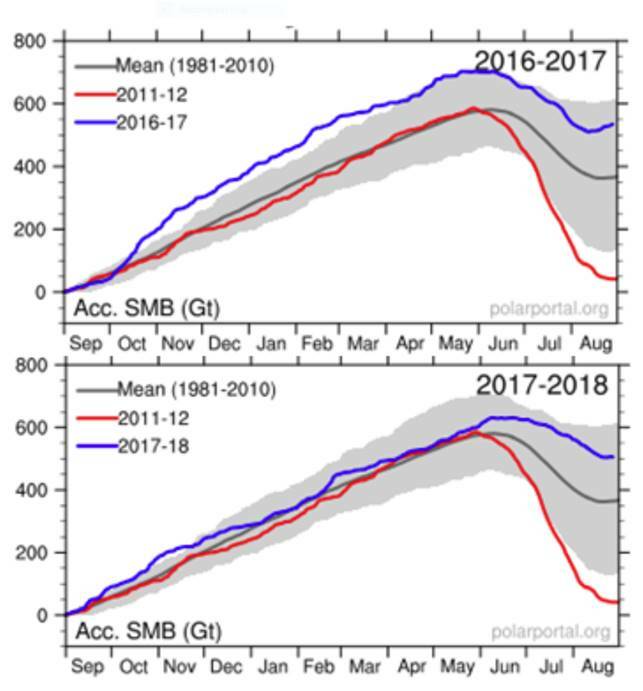 The study follows a report released earlier this month showing that Greenland’s ice melt rate is currently faster than it’s been in about 7,000 years. The island’s 650,000 cubic miles of ice is melting 50 percent faster than it did in per-industrial times. Time Magazine published, “Greenland’s massive ice stockpile is melting faster than previously thought, and it may be too late to do anything about it except “adapt,” scientists have warned in a new study. The findings, published in the journal Proceedings of the National Academy of Sciences (PNAS), used NASA climate data and GPS stations to study Greenland’s ice sheets, the infamous Guardian reports. Fantastic lies? Need more convincing that the mass media and most climate scientists and climate organizations are the real climate deniers? Look at the below charts and then below to see why global warming is the greatest deception in history. “A Guardian calculation found the average heating across that 150-year period was equivalent to about 1.5 Hiroshima-size atomic bombs per second. But the heating has accelerated over that time as carbon emissions have risen, and was now the equivalent of between three and six atomic bombs per second.” Yesterday we talked about Bill Gate’s Climate Fantasies. The Guardian and many other major mass media publications that all try to outdo each other in publishing the greatest fantasies ever told. Forbes Magazine, one of the few reasonable media organizations published about a study at the end of 2018 stating that the world’s oceans had absorbed up to 60% more heat than initially thought over the previous 25 years is being re-evaluated. 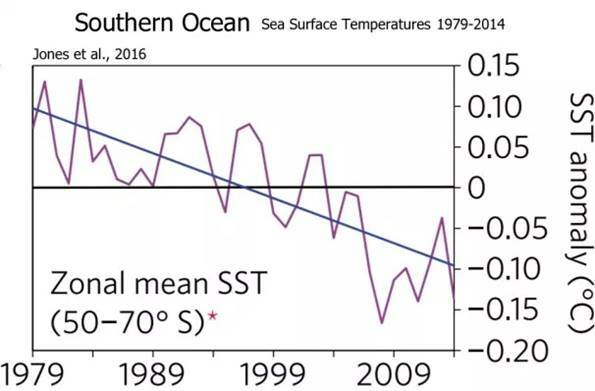 Scientists are concluding that ocean temperatures are rising at a slower rate than the study previously stated. Fake news, fake academics, fake scientists, fake politicians are putting out so much hot air it is no wonder half the people in the world believing its getting warmer when the world is indeed getting colder. There is nothing fake about the weather today. It is true that weather is one thing and climate another but come on people we are not reading about heat waves unless you live in Rio in Brazil. Ottawa residents awoke Saturday morning to find themselves living in the coldest capital city on Earth, about 20 degrees colder than Moscow and Helsinki, even edging out Ulan Bator, Mongolia, by a degree. The low of -24°C (-11.2 F) combined with nearly 30 cm (12 inches) of snow made it Ottawa’s coldest snowstorm in more than 100 years. The cold weather contributed to multiple deaths over the Martin Luther King Jr. holiday weekend. Thousands of homes and businesses remained without power leaving people freezing inside. Of course the CDC will translate cold deaths to fake deaths caused by the flu. Or perhaps global warming maniacs will translate cold deaths into death by fever proving once and for all that the world is getting warmer and the sun does not matter to life, the weather or climate down here on earth. I don’t think anyone is prepared to accept the level of chaos that’s coming from cold climate change and we have politicians, the media and governmental organizations to thank for this. Perhaps 95% of the population doesn’t give a damn about anything other than their social media posts, celebrity news and fashion shows. Fifty percent believe in man-made global warming so they are not expecting cold snowier than normal conditions to affect them. Most people’s ability to face reality on any subject — politics, finance, science, ecology, etc. — has collapsed to almost zero yet as the yellow jacket revolution is suggesting, for a growing groundswell of people, this is changing rapidly. Just for fun: It’s so cold, parts of Niagara Falls have frozen like a scene from a Disney movie. Global warmers please read again, it does not say its so warm! The American and world public of course are going to feel swindled.